Having the best survival gear and survival equipment to hand when you need it most can make all of the difference in an emergency situation. When second best simply isn’t good enough, you need to know that you can rely on your knowledge, skills, and ultimately your tools to get you through whatever comes your way. We’ve put together the definitive guide to the best survival gear to help you prepare for and overcome every eventuality. Whether we’re talking about a natural disaster or a man made emergency situation, potential danger and adversity can take many forms and will often strike with little to no warning when the time comes. Preparedness for these kinds of events covers many varied (but often overlapping) areas such as skill and knowledge acquisition as well as gathering the essential survival gear, emergency supplies. and tools to ensure that you’re not caught off guard when disaster strikes. This guide focuses on the best survival gear available today, and looks to cover the essential equipment, supplies and tools you can look to put together right to help make sure you’re covered should a situation begin to deteriorate. At the most basic level, the term ‘survival gear’ can be thought of as any supplies, tools, or physical equipment that are designed to help you survive, adapt to, and ultimately, overcome any manner of emergency survival situations. We’re talking everything from the essentials for human survival such as shelter, hydration, nutrition, and physical safety, through to those items that allow you to quickly adapt and thrive once any immediate danger has passed. Choosing the best survival gear for your needs will be influenced by factors such as the conditions you’ll likely be facing as well as the number of people it needs to cater for (one person, a couple, a family?) and of course, the personal considerations and individual preferences that will determine the suitability of the survival equipment you go for. This guide will walk you through the major considerations when preparing for an emergency situation and outlines the very best survival equipment and supplies for a range of scenarios and individual situations to help you make an informed decision when it comes to kitting yourself out. While this guide is focused primarily on the best survival gear for any given situation, emergency preparedness covers many different areas and forms and of course, many types of different situation that may arise. With this in mind, it’s important to think about your preparedness goals when setting out to prepare and procure the best emergency supplies and survival gear for any given eventuality. It can be helpful when thinking about these factors to start with a couple of basic questions. Are you looking to prepare for a specific natural event such as a tropical storm or earthquake, or a man made incident such as a nuclear attack? Similarly, do you want to build a strategy that sees you remaining in your home with a full compliment of supplies or do you intend evacuating by foot or hitting the road when danger is close, packing all of your survival gear into a bug out bag or vehicle to get you out of harms way? Of course nothing is ever black and white when it comes to preparedness and while specific risk factors where you live may prioritize the kinds of prepping you’re carrying out, one of the most solid approaches to adopt a wide-focus of emergency planning to cover you and your family against as many outcomes as possible. A good way to think about this is the example of a blackout or power outage. This kind of event can represent a standalone emergency situation in it’s own right, however it may also be a knock-on effect of a larger incident that’s taken place or is underway such as an EMP or a serious natural disaster like flooding, both of which are highly likely to knock out power infrastructure on a local or regional level as well as causing other forms of chaos. The same rule applies to thinking about preparing the best survival gear for staying in your home or bugging out during an emergency situation. While you’re emergency preparedness strategy might have you hunkering down with the supplies and equipment necessary to ride out the storm, it’s usually an incredibly wise idea to have a redundancy plan in place which will allow you to leave at a moment’s notice should the situation change or your safety becomes threatened. In these instances, building a comprehensive bug out bag as a contingency or ‘fall-back plan’ is often a very good idea to ensure full spectrum coverage during times of adversity. Whatever you decide however, one rule holds true for any and every situation. Quality equals reliability and in an emergency situation, reliability is everything when it comes to survival equipment. With this simple rule in mind, you want to make sure that whether you’re looking for the best emergency meal kits, water filters, flashlights, or tents, you choose the survival gear and supplies that represent the best in class to see you through dark times when needed. Luckily, this doesn’t mean that the kit you settle on will have a high price tag to match the quality and often the very best survival equipment will offer both excellent value for money and high performance and durability. Remember, when it comes to choosing the best survival gear for emergency preparedness and disaster reaction, there’s no such thing as “buy cheap, buy twice” as there simply may not be a second chance. In an emergency, disaster, or any other survival situation, it’s important to prepare for the worst case scenario that could unfold during or immediately after an incident takes place. Injuries sustained either directly or indirectly as a result of an external event become the number one priority when it comes to prioritizing survival requirements. Ensuring that your survival equipment includes the very best gear for treating a wide range of injuries should be a primary goal in assembling your gear. From the best first aid kits for both home and when on the move, through to guides on how to treat minor and major injuries, a well considered first aid component to your survival gear load-out will act as your first line of defense when preparing for an emergency. Whatever situation you’re planning for, a portable first aid kit represents one of the essential pieces of survival gear for ensuring you can react quickly and without worry if you or someone in your group or family is injured. 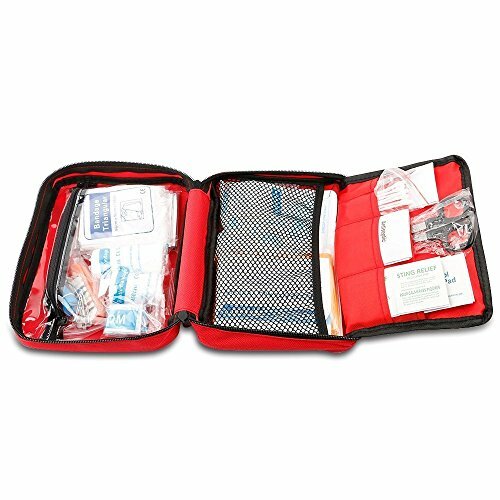 From cuts and scrapes to burns and breaks, a lightweight but portable first aid kit is a must have component in your survival equipment inventory and lends itself well to use in a vehicle or backpack as well as a general low profile solution for keeping in the medicine cabinet for when needed. Featuring 100 hospital grade (and FDA approved) medical supplies, this comprehensive portable first aid from OXA contains everything you need to administer triage and handle minor injuries during whether in daily life or during an emergency situation. This portable first aid kit combines essential medical supplies and equipment ranging from pads and antiseptics through to bandages, disposable ice packs, and other relevant treatment tools. Beyond the essential medical supplies, this first aid kit also contains a selection of essential survival supplies such as a compass, poncho, rescue whistle, and sewing kit. A logical layout and well considered storage areas make this first aid kit easy to use when you need to access medical supplies quickly and a compact outer case makes it the perfect size for storing at home, in a vehicle, or packing in a bag if you need leave home fast. No matter what emergency situation presents itself, the priority once you’ve taken care of any immediate injuries, healthcare emergencies, or threats to yourself and family is to ensure you have adequate shelter and protection from the elements. At first glance, this might make you think of survival tents and portable shelters, and while these absolutely do constitute an essential part of a survival gear lineup when it comes to shelter, this is by no means the only thing you need to be thinking about. If you’re choosing to bug in for example, you’re unlikely to be prioritizing a survival tent in your initial preparedness planning, but what about if the heat and power are out for a prolonged period of time, either during or as a result of, severe winter conditions? In this instance, the survival kit you prepare will need to make adequate provision to ensure that you and yours are able to remain protected from the adverse and often deadly effects of long term exposure to extreme cold. This is all to say that ensuring continued and reliable access to shelter and warmth during a disaster is an absolute imperative when it comes to preparing your survival equipment and supplies and doesn’t stop once you enter the home. When it comes to thinking about the shelter provision within your survival gear, a lightweight and high performance tent is likely to be at the top of the list if you’re planning a contingency strategy that involves leaving your home. Whether you’re preparing for an evacuation by foot or by vehicle, a lightweight, easy to pack, and high quality tent is almost certain to be a priority for your bug out list. Even if you’re planning to stay in your home during an emergency situation, being able to quickly call on a standalone portable shelter if needed is always reassuring. 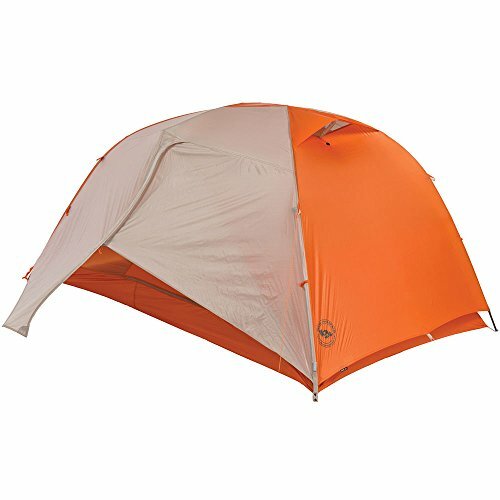 The Copper Spur is quite simply one of the best 2 person survival tents out there for the money if you’re looking for a shelter that’s both incredibly lightweight (it weighs in at an unbelievable 2 lbs 12 oz) while offering a wider variety of features and high performance stats. 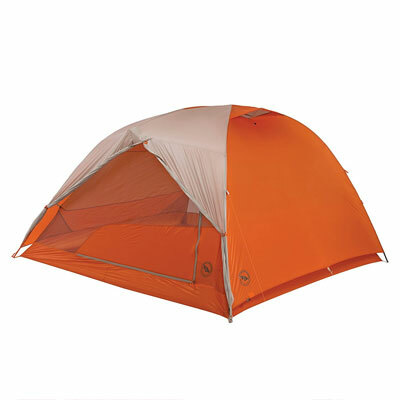 With the major considerations for a survival shelter centering on the trade-off between weight and performance (the tent needs to be easy to carry and durable enough to deal with adverse conditions), the Copper Spur does a great job of balancing these priorities in a tent that delivers a lot of value while receiving excellent reviews from owners. If you’re searching for the best shelter option for your survival equipment list, you’ll be hard pushed to do better than this 3 season tent which offers decent internal space for both living and storage as well as benefiting from a highly durable construction. 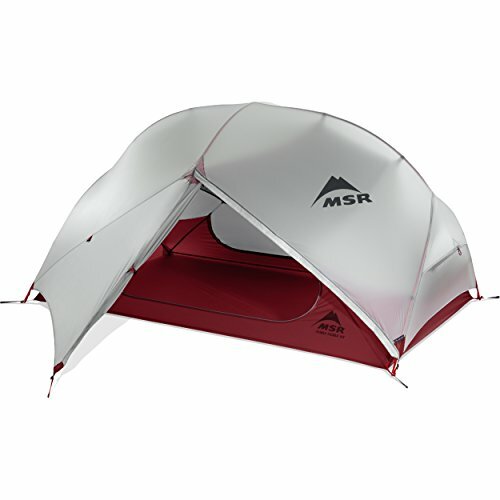 Another excellent choice when it comes to combining lightweight performance with high quality and functionality, the Hubba Hubba NX from MSR represents a reliable survival shelter option from a brand with a long-established reputation for constructing solid and dependable expedition tents. If the best survival gear needs to function in any number of unknown and potentially shifting scenarios, then a tent that also meets these criteria needs to be equally adaptable. 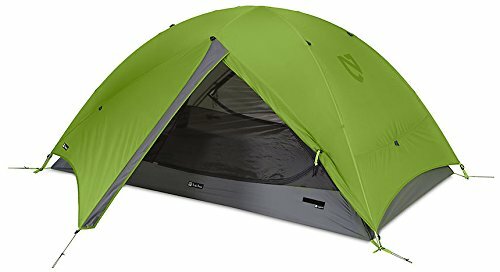 In this respect, the MSR delivers the desired result, offering plenty of internal room for 2 people as well as a ‘fast and light’ minimal packing option that allows you to reduce the total packed weight of this backpacking tent to just over 2 lbs if needed. The ability to pack down light, perform in a variety of challenging conditions, and still offer room for you and your survival gear are a crucial consideration when investing in a tent and in all regards, the Hubba Hubba NX scores top marks. The Galaxi is a 3 season tent combining a spacious interior and lightweight design with an incredibly simple and user friendly assembly procedure. A multi season design means the Galaxi is built to endure all kinds of conditions, offering full-coverage, a seam-sealed rain fly, and a rugged waterproof footprint providing optimum protection from adverse conditions such as heavy rain and the associated issues that accompany it such as water runoff and mud. The double door design of the Galaxi puts a focus on both accessibility and vestibule storage space, meaning you’ve got access to a dedicated (and separated) storage area for larger gear, bags, and footwear, without having to compromise on the internal living space. We all know that water is important. In fact, it’s absolutely critical to human life and none of us will make it past a few days without access to adequate hydration, no matter how well stocked you are in other areas. Securing drinking water isn’t just about having enough nearby though, it also has to be safe and drinkable otherwise you’re in for a whole world of bad. With this in mind, the best survival gear when it comes to hydration is formed of a two-prong strategy to maintaining a reliable, clean, and ultimately safe supply of drinking water at all times. Firstly, pre-packaged (and therefore pure) drinking water is the first line of defense and forms the absolutely crucial backbone of any home preparedness strategy where weight and storage space are less of an issue when it comes to holding water in bulk. Secondly, filtration and purification methods and tools represent essential survival gear and should take the form of layers of redundancy from physical filters through to chemical purification methods, and even ways to boil water if required. The simple fact of the matter is that whether you’re at home or on the road in an emergency, you just can’t rely on the ability to access safe drinking water (if any at all) and so ensuring you have access to a reliable supply is the cornerstone of any survival preparedness strategy. When you’re away from home during an emergency situation, the reliability, quality, and overall safety of any accessible drinking water should never be taken for granted. With this in mind, including a portable water filter in your survival gear is an excellent way of including a physical hydration redundancy to ensure that a questionable water source is safe to drink from. Ranging from water filter ‘straws’ and ‘tubes’ to filters built into bottles, canteens, or attached directly to a hydration bladder, the best portable water filters take up minimal space and weight in a backpack and are truly an essential piece of survival equipment. LifeStraw have gained a reputation as one of the major names when it comes to high quality portable water filtration systems and the excellent LifeStraw Steel is testament to why this is. Utilizing a replaceable carbon capsule for 2 stage filtration and allowing filtration of up to 1000 liters of water, the LifeStraw Steel is able to remove at least 99.9999% of waterborne bacteria as well as 99.9% of waterborne protozoan parasites in a water source. Weighing in at just 4.2 ounces, the LifeStraw Steel requires no external power source to operate and is constructed from highly durable food-safe stainless steel making it perfectly suited for use outdoors and an essential addition to your survival gear. One of the major benefits of the 2 stage filtering of the LifeStraw Steel (which can filter to 0.2 microns) is that it allows for the elimination of any residual tastes and odors in the water as well as the actual contaminants themselves which is a significant benefit when using in the field. 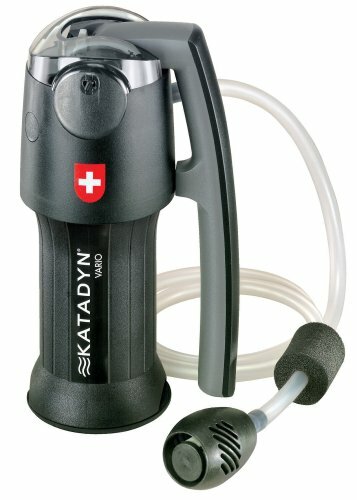 The Katadyn Vario is a powerful water microfilter that’s the perfect lightweight solution for purifying any water source when you’re on the go. 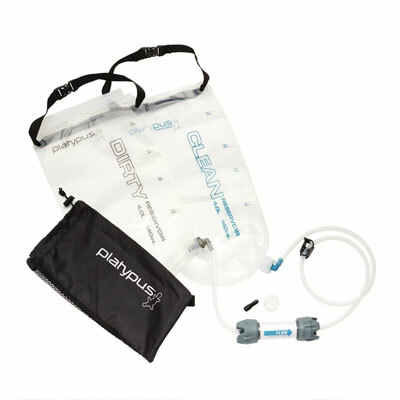 Delivering the ability to quickly treat up to 2 liters of water per minute this survival water filter has two options for filtering allowing you to choose between a higher 2-liter/minute output or 1-liter/minute output (which extends the lifespan of the filter). Inside of this compact water microfilter, three layers of filtration work to purify and cleanse any questionable water source passing water through a combination of ceramic, glass fiber, and finally a carbon filtration element to ensure what comes out the other side is totally clean and tastes great when you need it most. This military-grade water filter pump is designed to totally cleanse and purify questionable water sources, removing bacteria, viruses, protozoa, and particulate from contaminated water. The Guardian filters water at 2.5 liters per minute and treats up to 10,000 liters of water. Designed to meet the NSF protocol P248 testing standard used by the US Military, this survival water filtration system is designed to be durable in all environments and situations making it perfect for use in backcountry survival conditions as well as at home as a backup water purification method. A unique design means that the MSR Guardian actually self-cleans on every stroke of the pump meaning you’re going to get consistently rapid flow rates with minimal filter maintenance. Preparing your home for an emergency removes the need for portability and size/weight requirements and one of the places the benefit of this is felt most is when it comes to water purification. Without the need to pack light, many of the best home water filter systems will serve you well in a home emergency situation where the access to and reliability of drinking water comes into question. These kinds of water filtration systems should still be paired with an adequate supply of bottled drinking water (see Bottled Water below), but will serve you well in making sure the water you’re drinking is clean. Berkey are one of the premium names in the business when it comes to high performance home water filters and pride of place in the brand’s range are the Big Berkey line of filtration systems. This 2 Gallon variant of the Big Berkey water filter system comes with two Black Berkey Purification Elements for filtration of harmful viruses and bacteria and each filter is capable of filtering up to 3000 gallons of water (6000 gallons in total) before they require changing. 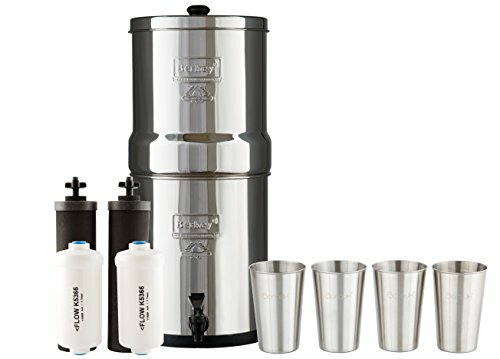 The Big Berkey water filtration system is designed for use by up to 3-4 people (this variant actually holds a total of 2.25 Gallons), is made from hard wearing stainless steel and is BPA free. On top of this, the Big Berkey is simple to set up and easy to use and is based around a gravity-fed filtration system that doesn’t require power to operate. 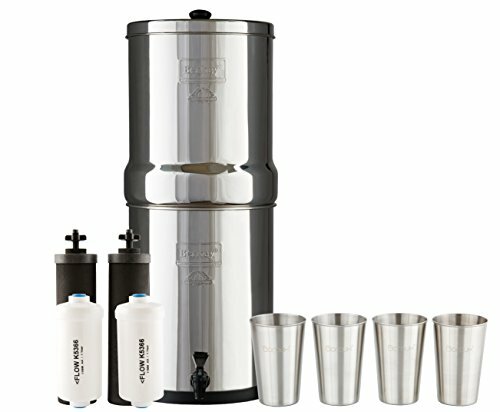 What all of this means in practice is that the Big Berkey system is able to filter a lot of water, whether it comes from a tap, well or rain water, as well as from rivers and lakes, making it an essential piece of survival gear for home preparedness or for packing in a vehicle if space allows. Fire is one of those things that conjures up various methods of generating flames in the wild using any number of artificial and natural tools to ignite tinder and eventually get some serious heat going. While this is definitely a fundamental part of preparing your survival gear for an outdoor evacuation strategy such as a bug out bag, we also need to think about this topic in a bit more detail. For example, if you’re at home and no longer have access to gas or electricity for heating or cooking, obvious problems start to arise in an emergency situation. Having the means to start a fire at home and when travelling can range from simple waterproof matches and lighters, through to fire steels and striking flints. 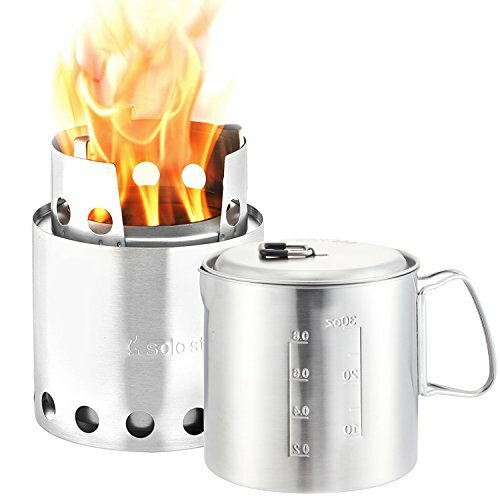 Cooking food and boiling water will also require heat to get the job done and while the flame generated by a portable backpacking stove (see Nutrition below) will ultimately utilize the same principles to get the desired result, a home preparedness strategy opens up a wider variety of choices for harnessing fire when it comes to preparing your survival gear. In a survival situation, the ability to start a fire quickly and effectively whatever the conditions can be the deciding factor when it comes to generating heat for warmth, cooking food, or boiling water. Because of this, fire starting tools are often (and rightly so) considered to be essential survival gear that when considering what makes it onto your list of mission critical emergency preparedness supplies. Fire starting tools can range from matches and lighters designed to operate in all weather conditions, through to striking flint or fire steel tools for creating the sparks needed to ignite tinder and get your fire underway. There’s quite a variety of fire creation tools out there and while we’ve outlined some of the best options below, given the small packing size and weight of each option, it definitely pays to invest in a couple of different methods to ensure you’ll be able to create a fire whatever situation arises. If you pack nothing else for fire starting in your survival gear, make sure this kit makes the list. 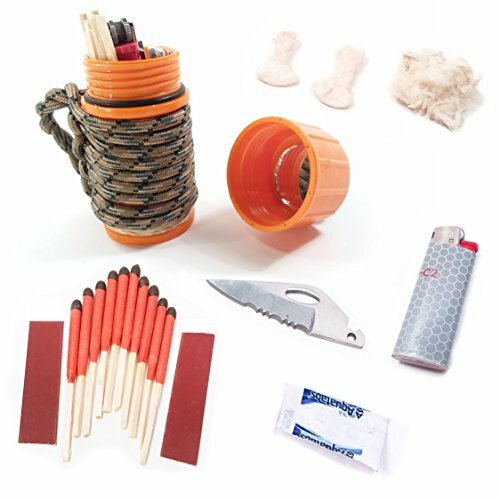 Containing everything you need to get a fire started through all conditions, this fire starter kit includes 10 StormProof Matches, a mini Bic lighter and fire starting tinder to get a flame underway whatever the weather. As well as including the essentials for fire starting, this kit also includes a 5 ft length of of the excellent Titan SurvivorCord as well as a whole host of survival gear essentials such as a serated blade (for cutting the paracord), a signal mirror, 5 rubber bands, and even water purification tablets which enable you to purify 2 liters of contaminated water. All of this comes self contained in a UCO sealed waterproof container which is small enough to keep in your pocket or slot into a spare space of your bug out backpack. Food equals energy and energy ultimately equals life. While we’re able to go without access to food for considerably longer than we are without clean drinking water, the end result will eventually be the same. Besides this, everything from mental condition (think concentration and stress tolerance) to physical condition (fatigue and susceptibility to illness) will begin to significantly deteriorate without access to adequate nutrition. In a survival situation access to enough food becomes more important than ever with a need for rounded and sufficient nutrition compounded by an almost guaranteed breakdown of the usual logistics chain and subsequently, the inability to get hold of food. The great news here, is that survival food options are plentiful and offer everything you need in an emergency nutrition solution from long shelf life and ease of preparation, through to variety and nutritional balance. Whether you’re planning to pack a bag, stock a pantry, or both, the excellent choice of emergency food kits, survival food pouches, MREs, and high calorie energy bars, means you can guarantee access to good tasting, nutritionally rounded, and long lasting food to include in your survival gear and supply inventory, no matter the situation. Beyond access to food though, the ability to actually ‘heat and eat’ need to be considered when thinking about survival equipment. This can range from the inclusion of the best portable stove for use at home or on the road through to low-profile alternatives to pans and dishes, but all options should be thought about, adopted, or dismissed based upon your individual requirements. If you’re preparing a bug out strategy, the food you take with you will need to be portable, easy to prepare, and nutritious. More than this though, your survival gear in this situation will likely be built around covering you for a fixed period of time so the food solutions that make the cut will always need to consider this factor. When preparing a bug out bag (where weight and space are the most pressing issue), the general rule of thumb is to provide enough survival equipment and supplies to see you through a period of 3 days/72 hours away from home or civilization. Loading up a vehicle for evacuation removes some of these obstacles, allowing you to bring considerably more food with you, but even here there will likely be limits to what you can carry with the maximum provision probably topping out at around a month’s worth of food once your other packed survival gear and supplies are taken into account. In both of these instances however, the ability to call on an emergency meal kit solution that’s lightweight, high in nutritional content, and easy to prepare becomes the priority. 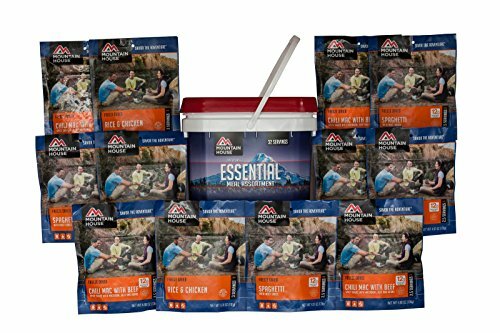 Providing 3.5 days of emergency survival food spread out across 12 individual meals, the Just In Case Essential Bucket from Mountain House is ideally suited for use as a nutrition component to your 72 hour survival gear. This survival food kit provides 32 servings and delivers a formulated balance of caloric benefit and rounded nutrition when you’re regular food supply can’t be relied upon. 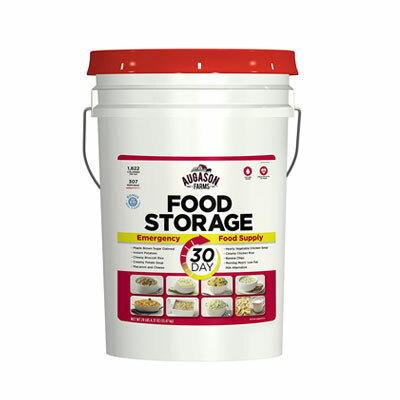 A stated 30 year shelf life and an incredibly useful carrying bucket for the individual meal pouches contained within make the Essential Bucket the perfect emergency meal solution for long-life storage in an home preparedness pantry or closet until needed. Bugging out by vehicle? Simply grab the bucket and throw it in the trunk. Bugging out by foot? Grab the pouches you need and load them up in your bug out pack. Unlike some other emergency meal kits out there, Mountain House are one of the few brands to have built a solid reputation around a wide variety of different meal options covering everything from breakfast to entrees. For a longer period of emergency food provision but where portability and ease of preparation remain crucial, you’re likely to want to opt for a nutrition solution that’s compact enough for carrying in a vehicle, while still maintaining the benefits of meals that can also be carried in a bag or backpack if required. 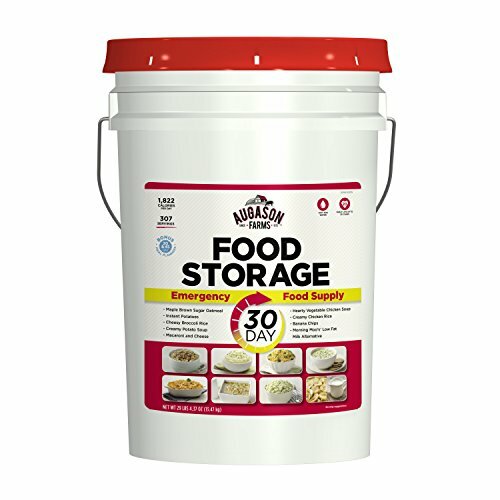 In this instance, one of the very best additions to your survival gear comes in the form of the 30-Day Emergency Food Supply from Augason Farms, delivering enough nutrition to see you through a month of challenging conditions while also remaining easy to grab, carry, and pack when you need to evacuate quickly. Contained within the carrying pail itself, this survival food kit contains 35 food pouches constituting 307 total servings and providing up to 54,670 calories in total (roughly 1822 calories per day). 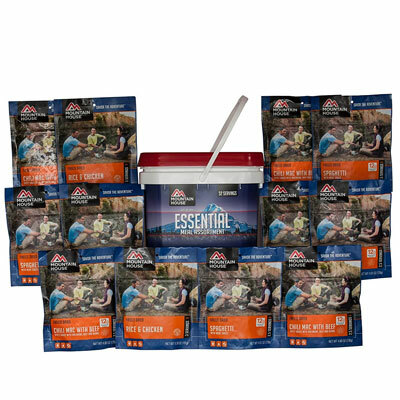 While the 7 gallon pail itself is waterproof (making it ideally suited as an emergency food supply in a major flooding situation or other disaster involving water), the meals contained within have a shelf life of up to 20 years, meaning this survival meal kit is perfect for long term storage in a pantry, closet, or spare room of the house until needed. In an emergency situation, it’s almost a certainty that many of the conveniences around food preparation are likely to be disrupted for one reason or another. In a home emergency situation, there are any number of events that could bring down the infrastructure and utilities that deliver electricity (think EMP or power cuts) or access to the basic services associated with water and sanitation. Similarly, if you’re planning to evacuate during ahead of or in response to a disaster situation, then you’re going to need to find a way to heat and prepare your food on the go. In both of these instances, the upshot is the same, your survival gear needs to include provision for heating food (and water for boiling) in the absence of the usual utilities. 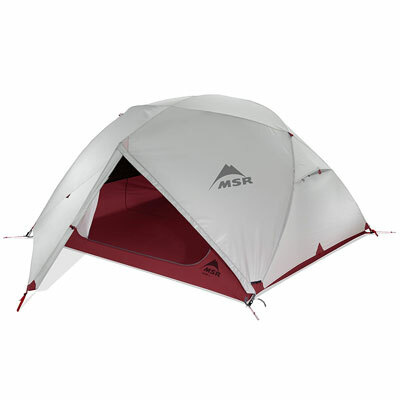 MSR are well known for the quality and reliability of their backcountry survival gear ranging from lightweight tents to high performance backpacking stoves. The Reactor Stove System is the perfect example of the latter and is an excellent option for both emergency use at home as well as thrown into a backpack or vehicle if you need to leave. When it comes to generating heat, the Reactor utilizes a radiant burner, heat exchanger and internal pressure regulator which maximize efficiency and total fuel use in all conditions. With lab test proven ability to boil half a liter of water in around 1.5 minutes, the Reactor is designed to be windproof making it well suited to use outdoors, no matter the prevailing conditions. In terms of storing, packing, or carrying, the Reactor system is self-contained, allowing you to fit the stove and fuel inside the pot and carry all at once. As this (and almost all other survival stoves) comes without a fuel canister, be sure to add some when buying. Fuel canisters are available in different sizes, with 4 oz canisters 8 oz canisters ideally suited for backpack use and larger sizes such as the 16 oz fuel canisters perfect for carrying in a vehicle or for storing in bulk in your home preparedness kit. As with all things emergency preparedness, more is better if you can afford the weight or space so stock spare fuel according to this rule whenever possible. 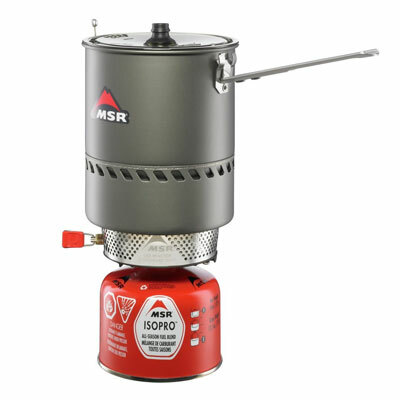 Combining the excellent Solo Stove Lite with a stainless steel 900 ml pot, this self-contained cooking solution is ideal for packing in a bag or keeping on hand in the home as an emergency food preparation contingency. 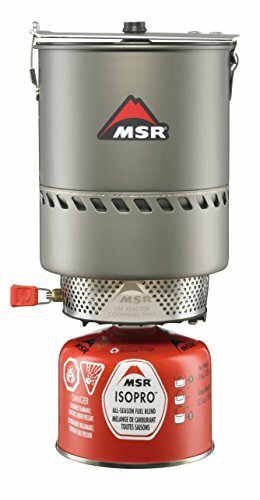 The Solo Stove Lite forms the cooking element of this lightweight pairing and is considered by many to be one of the best wood-burning backpacking stoves currently on the market. Weighing in at just 7.8 ounces, the Solo Stove Lite is designed to be carried wherever you go, utilizing twigs, leaves, pine cones and wood as fuel, meaning no fuel canisters required. A unique design allows fuel to burn more completely and with less smoke with a boil time of around 8-10 minutes once lit. The Solo Stove Pot 900 is constructed from premium grade 304 stainless steel and delivers high durability for use in outdoor environments. Designed specifically with the included Solo Stove Lite in mind, the Solo Stove Pot 900 is made to perfectly nest the stove within it when you’re done, meaning it can be effortlessly packed and carried when it’s time to break camp. There are any number of situations in which the access to artificial illumination becomes a necessity in an emergency situation. Whether you’re travelling outdoors at night, escaping a building during a fire or earthquake, or simply need light during a power outage at home, being able to call on a reliable backup for vanquishing the darkness is a priority. Without a doubt, at the top of the list when it comes to providing illumination provision to your survival gear list is the inclusion of a reliable, lightweight, and high performance tactical flashlight. The story doesn’t start and stop with flashlights though and many of the best survival equipment inventories will look to include a number of redundancy light sources ranging from headlamps and keychain flashlights, through to emergency survival candles and solar lanterns. In terms of size (and weight) to light ratio, one of the best tools you can look to include in your survival gear is a high quality tactical flashlight. 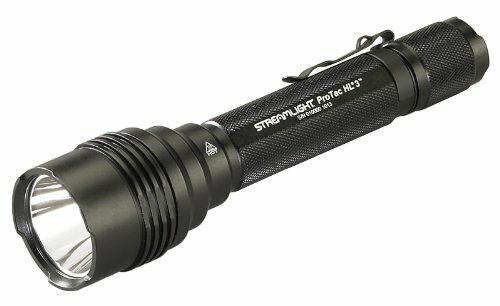 Built for use in the most extreme conditions and favored by military professionals, law enforcement, and outdoor enthusiasts alike, the best tactical flashlights combine a wide feature set with legendary durability and resilience which makes them ideally suited to use in the wild and in any number of emergency situations. The best tactical flashlights will typically be extremely hard-wearing and lightweight, while also encompassing waterproofing, dust, and shock resistance into the design. On top of this, the best high performance flashlights will be small enough to slip into a bag or pocket, will have an extremely respectable battery life, and ultimately, will be able to project a lot of high quality light over a wide area in order to banish the darkness quickly. 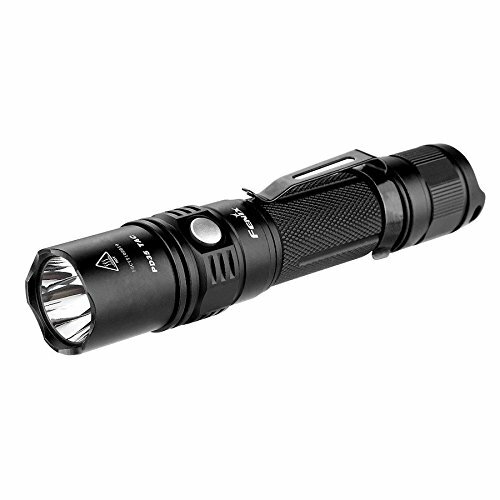 The ProTac HL3 is a tactical flashlight designed to deliver an impressive 1100 lumens of output while remaining both highly durable and lightweight enough for continued use. Utilizing a C4 LED technology, the Streamlight is constructed from anodized aircraft aluminum and is rated against shock for a lifetime of up to 50,000 hours of use. This durability is further extended with IPX7 water resistance – making it waterproof up to 1 meter for around 30 minutes of submersion. 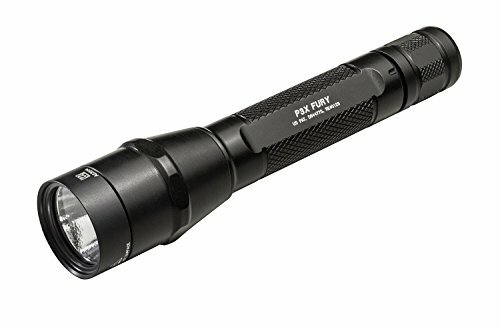 Weighing just 7.10 ounces (with batteries) and measuring in at 7.10 inches in length, the ProTac HL3 is an excellent addition to your survival gear whether you’re looking for a highly dependable backup light for use at home or for including in a bug out bag list for use in an emergency situation on the road. If the best tactical flashlight is one that perfectly combines brightness with size, durability, and general high performance in the field, then the FX-PD35TAC is one of the best you’ll find for the money. Built around a CREE XP-L LED with a lifespan of up to 50,000 hours, the Fenix is blindingly bright (delivering a 1000 lumen output) while being tough enough to handle anything thrown at it in an emergency survival situation. In terms of portability, the Fenix comes in at just under 5.5 inches in length and weighs an impressive 3.1 oz making it the perfect profile for carrying in the pocket of a jacket or bag or keeping in the glove box of your vehicle. Pair these physical dimensions with rugged durability and an anti-abrasive finish and you’ve got a tactical flashlight that’s a natural addition to your survival gear load-out. 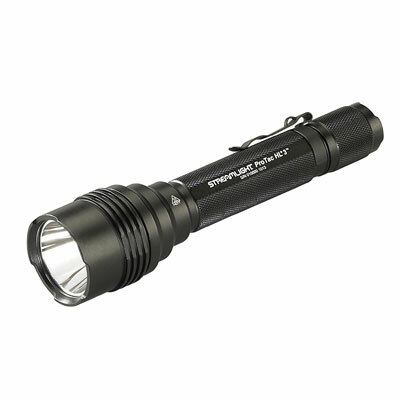 The Streamlight ProTac HL 3 delivers an incredible 1100-Lumens of light to illuminate even the darkest of areas. Offering a lifetime of up to 50,000 hours, this tactical flashlight is built to last with a shock resistant design and a construction of 6000 series aircraft aluminum with an anodized finish. A combination of 3 different user-selectable programs provide the backbone of this flashlight’s functionality, allowing it to effortlessly switch between variable intensity settings as well as a strobe mode. Three CR123A lithium batteries with a total shelf life of 10 years are included with the flashlight and whether you’re using in the home or in the field, the HL 3’s IPX7 rating (waterproof to 1-meter for 30-minutes) and impact resistance mean this tactical flashlight wont let you down when you need it most. Lanterns are one of the most practical and effective illumination options to keep on hand as part of a home emergency preparedness kit. Whether you’re looking at an emergency candle solution or a battery powered stand alone lamp, the best emergency lanterns are a survival gear essential and can be called on at times of crisis such as blackout or power outage situation. 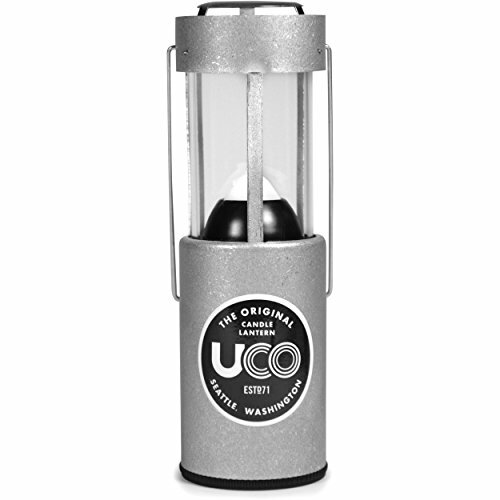 The Original Collapsible Candle Lantern from UCO is long-burning, compact candle lantern that utilizes a durable but lightweight construction to provide light in both emergency preparedness situations and backcountry uses. Collapsing down to 4.25 inches in height and weighing just 8.8 oz. with a candle, the UCE Original Collapsible Candle Lantern comes complete with a 9 hour candle which can be lit within the easy to access glass chimney, to create a windproof environment for your emergency light source. 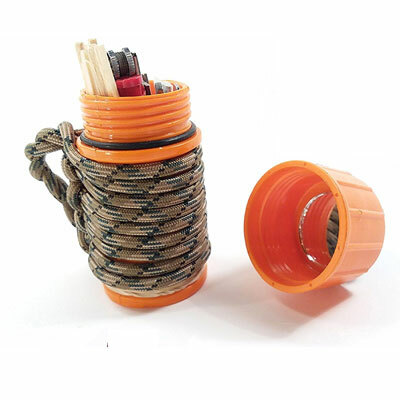 A carry handle and hanging hook make this collapsible candle lantern incredibly practical in a whole range of situations from blackouts at home to camping in the wilderness. Often overlooked when it comes to emergency preparedness and survival planning, stocking up on the relevant hygiene supplies is crucial for ensuring not only comfort during prolonged periods of adversity, but also, reducing the risk of illness from neglecting this important area of consideration. Survival hygiene options are varied and depend largely on whether you’re planning to bug in or need to pack fast and light for a grab bag or bug out vehicle. As with the provision of access to safe drinking water, the major assumption when it comes to survival hygiene is that there will not be access to the regular water supply, plumbing, and utilities that we’ve all become used to in everyday life. Your survival gear in this area is therefore going to want to include everything from alternate toilet arrangements through to solutions for washing and maintaining a good level of sanitation on a regular basis. When disaster strikes, the fact of that matter is that the chance you’re going to lose access to the usual utilities and plumbing in your home is very real. In this event you’ve got basically got two choices, either designate and prepare a latrine (if this is even a possibility where you live), or prepare an emergency fall-back alternative to ensure business as usual. If you’re planning on stocking up on flashlights, lamps, batteries, and emergency candles in the event of losing power, then your survival gear also wants to be considering a series of redundancies that can be called upon if you lose access to reliable home plumbing. Not something you’re likely to spend much time thinking about when times are good, but having access to a contingency toilet solution can prove an absolute godsend in an emergency situation that sees you without access to the regular amenities or the usual reliability of home plumbing. 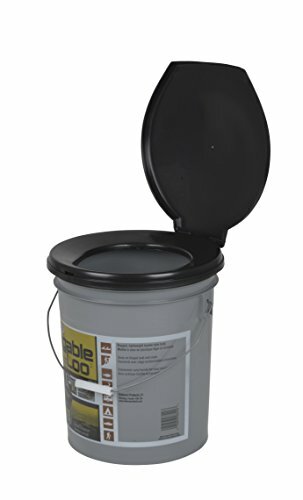 With this in mind, a portable emergency toilet such as this 5 gallon model from Reliance represents an excellent solution to ensure that you’re not caught short in the event that disaster strikes. The ability to store as part of your home emergency preparedness and survival gear as well as the portability of being able to bring in a vehicle if required make the Reliance Portable Toilet a great choice when it comes to preparing for every eventuality and minimizing the disruption in a disaster situation. This is a no-frills but highly reliable and dependable solution to a very real problem, but then again it does the job it needs to do when you need it most. Pair with extra bags and deodorizing chemicals and you’re good to go – so to speak. Some of the most essential survival gear out there are those items which will help you get things done in real survival scenarios whether you’re at home, in the yard, or in the wilderness. The best survival gear includes those items which help you get the most done with the least effort in the widest range of potentially adverse scenarios and environments. In this respect equipping yourself with the essential tools in your survival gear inventory will get you out of almost any fix when a problem needs addressing. The best multi-tools combine (as the name suggests) the most useful tools and some of the very best survival gear into one incredibly useful piece of pocket sized kit. The Leatherman Wave is one of the definitive multi-tools out there and is designed with all of the tools you need to get you in and out in one piece, whatever the job or situation. 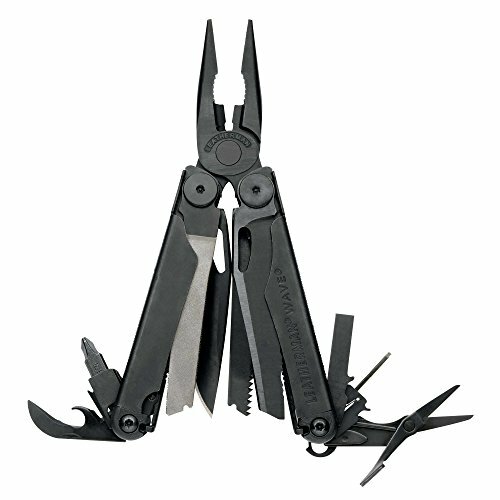 When it comes to tools, the Wave provides pretty much every tool you could need in an everyday or emergency scenarion from pliers and wire cutters, to a wire stripper, cap crimper, plain and serrated knives, saw, spring-action scissors, ruler, can and bottle openers, files, and screwdrivers. Of course the major advantage of any comprehensive survival multi tool is the combination of wide-ranging functionality with lightweight size and portability. Here is where the Wave shines, delivering a lightweight (8.5 oz) and compact design that’s designed to fit in a pocket or bag to be carried wherever you go and grabbed whenever you need it. 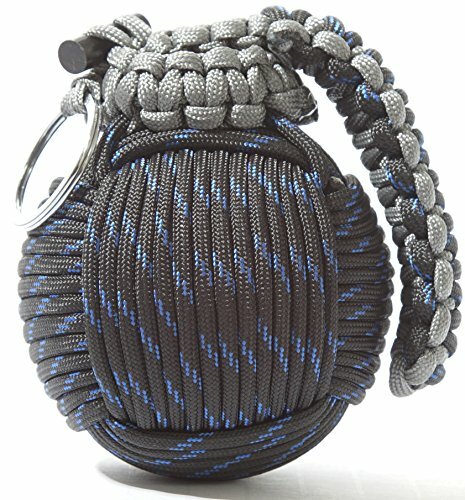 If you’re looking to gather the most essential emergency supplies in one compact, easy to carry solution, then the Holtzman Paracord Grenade is your answer. Wrapped in ultra-tough 550 paracord, this collection of 48 life saving tools is designed to get you out of trouble when you need it most. Small and lightweight enough to carry on a belt, bag, or simply kept in your home or vehicle home preparedness kit, this set of survival tools is built to be portable and durable when it matters. There are a whole lot of advantages to being able to stock up at home and put together a home preparedness strategy and at the very top of this list of benefits is that of storage space. Unlike bugging out or leaving home in an emergency situation, planning your survival gear for a prolonged period of bugging in means you’re not constrained by the usual factors of weight and space. Right off the bat this means you’re able to store more of well, pretty much everything, whether it’s emergency food supplies, drinking water, or general survival supplies. Preparing to ride out an emergency situation at home means you can invest more heavily (quite literally) in the survival gear, equipment and supplies which will see you through for periods as long as a year at a time and sometimes longer. The major disadvantage to solely focusing on a home preparedness strategy of course, is that it assumes that your home itself is not directly under threat, damaged, or in some other way unsafe to remain in during an emergency. In these cases, your survival equipment strategy needs to be able to adapt quickly and easily to one which sees you leaving the area of imminent danger (which may be, or become your home) if the need arises. This section of our guide looks at the very best survival gear to consider for a strategy of preparing your home for a prolonged period of adversity. While the provision of shelter is likely to be less of an issue in a home emergency preparedness scenario, ensuring access to the other essentials of survival such as hydration and nutrition may not be so cut and dry. The most pressing consideration in this instance is of course retaining access to safe and clean drinking water in the absence of the usual utilities – if you turn the faucet but the taps are dry, what then? Luckily, when it comes to preparing your home survival gear and supplies for an unexpected emergency situation, a bit of foresight and preparedness ahead of time can go a long way to all but eliminating the worry of water security when disaster strikes. Without the same constrains of weight and packing space associated with evacuating your home, the options for maintaining access to clean and safe drinking water at home range from stocking purified drinking water in bulk, through to highly effective home emergency water filter systems for removing contaminants and impurities, making any number of otherwise questionable water sources completely safe and drinkable. 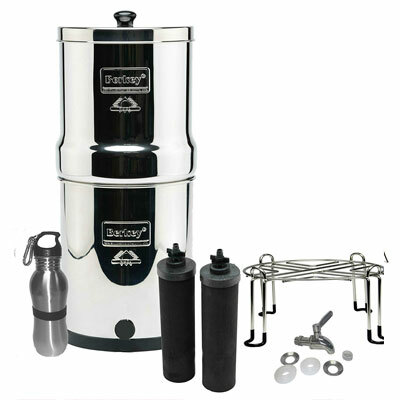 The 3 gallon Royal Berkey is one of the very best home survival water filters on the market if you’re looking for a solution that’s reliable, durable, and able to handle the challenges of safely purifying water for a medium-large family at home. This home water filter system is built around a core of two black Berkey filtration elements which are capable of purifying up to 4 gallons of water per hour (extendable to 8 gph with the addition of a further two elements) and will remove harmful viruses, bacteria, and chemicals from water, leaving you with access to safe drinking water whether the original source of your water was the rain, a pond, stream or lake. 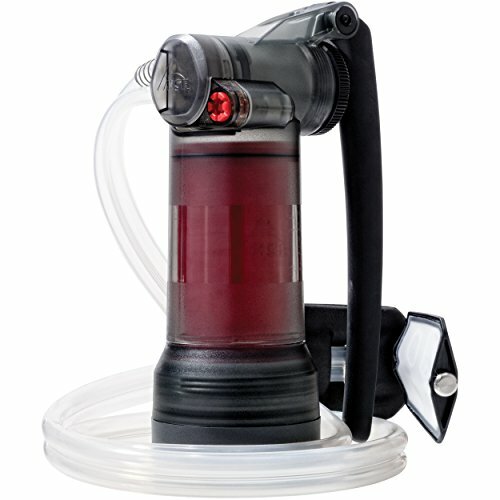 If you’re looking for a home preparedness water filtration solution that will serve you equally well during an emergency situation as well as in everyday life, the Royal Berkey is a solid addition to your home survival gear for ensuring complete peace of mind when it comes to maintaining safe hydration during a disaster. If you’re planning a home preparedness pantry, the ability to store a lot more food provision (both in terms of physical space and weight) becomes a significant benefit when it comes to building up nutrition reserves. With this in mind, you’re generally going to be able to store a lot more food in a home preparedness situation and when this is the case, the main concerns shift towards ease of preparation (cooking or preparing without utilities for example) and the shelf life of the food you keep in reserve (store bought canned food will often only last for a couple of years). The best home emergency food kit solutions and long term emergency meal options are designed around these factors and will deliver a combination of easy preparation in times of difficulty and a shelf life measured in decades not years. What this means of course is that you end up with a store of survival food in your home preparedness supplies that will last anywhere up to 30 years, require minimal input to prepare, and will deliver all-round nutrition to keep you and your family fighting fit for a prolonged period of time – in some cases providing as much as a year’s worth of sustenance. The Deluxe Food Supply from Augason Farms contains enough nutrition in the form of 98 No. 10 cans to see a single person through one year at around 1,195 calories per day. What this looks like in practice is approximately 435,680 total calories split across 5,840 servings. 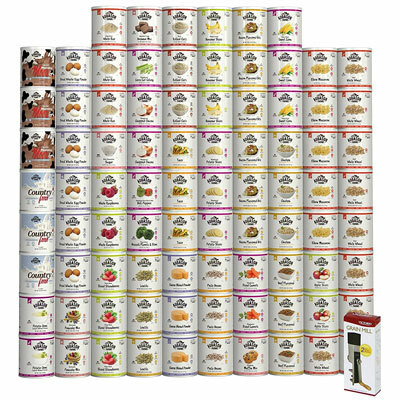 Not only does this mean you’re going to get a lot of food in this supply, but given the incredible variety of the food cans on offer also ensures that monotony is not going to be a problem when it comes to preparing daily meal servings. The emergency food ingredients provided in the Augason Farms deluxe supply cover all of the major food groups and provides everything from freeze dried and dehydrate fruits and vegetables, through to protein, eggs, dairy, grains, desserts, and even breakfasts. Storage is handled by large stainless steel No. 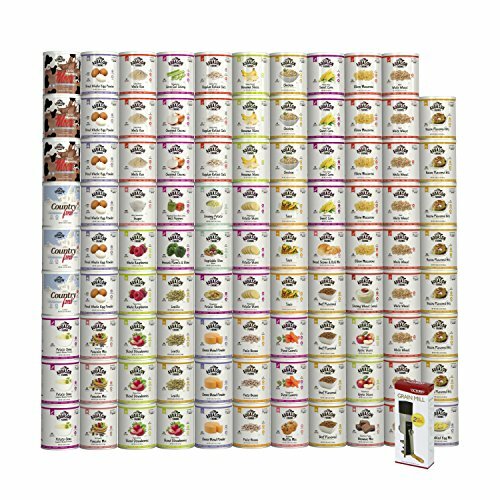 10 cans which are completely airtight and will ultimately mean the ingredients in this emergency food supply have a combined shelf life of up to 30 years unopened. If you find yourself bugging in or hunkering down at home during an emergency situation, disaster, or crisis, then having access to a reliable form of inbound communications from the outside world is absolutely critical. From PSA and weather warnings, to gaining the most up to date information from others, close to the top of the list on a home survival gear preparedness list is at least one emergency radio system with multiple power options and modes of redundancy. This portable emergency radio is capable of being powered from 6 separate sources. 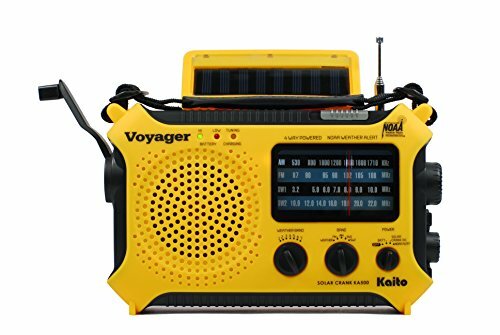 Featuring a hand crank generator, solar panel, compartment for 3 AA batteries (not included), 5V USB input, 5V AC/DC input for a wall power adapter, and a built-in NiMH replaceable and rechargeable battery pack, this is the perfect short wave emergency weather radio for use at home or on the road during a disaster situation and rapidly changing scenarios. The Kaito KA500 provides comprehensive coverage of AM, FM, 2-band shortwave and 7 pre-programmed NOAA weather channels for gaining access to critical information during serious weather events such as storms, tornadoes, and wildfires. In addition to emergency radio functionality, the KA500 serves as a portable battery charger with an in-built DC 5V USB output port for charging small devices, such as smart phones and GPS units. On top this, the Kaito also features a 5-LED reading lamp, LED flashlight, and a red LED S.O.S. beacon light, making it a natural addition to any home preparedness survival kit as well as an essential for keeping in a vehicle or including in a bug out bag packing list. There are of course a whole load of circumstances in which remaining home simply doesn’t represent the safest course of action in an emergency situation or impending disaster. Firstly, you may live in a densely populated area that you feel represents a clear and present danger in and of itself if a situation were to rapidly deteriorate or seems likely to do so (think a major breakdown of society and/or law and order). Similarly, you may live in an area that is due to be directly in the line of fire of an impending emergency situation or disaster in which case, the best chances are represented by evacuating ahead of time. There is also a third scenario in which you plan to bug in at home but are unexpectedly forced to evacuate if a situation deteriorates and it simply becomes unsafe to remain where you are. In all three of these situations, the preparation of a bug out strategy and a corresponding list of suitable survival gear and supplies will represent the deciding factor in your ability to respond and adapt as quickly as possible. If you’re planning to bug out or evacuate an area on foot, investing in the right bag for the job is the ultimate consideration when it comes to preparing the crucial survival equipment to help you overcome any situation. 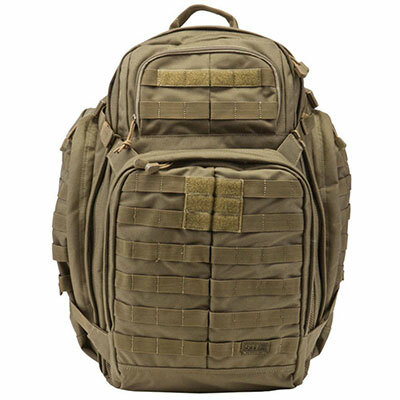 The most common (and popular) solution is also the most versatile and comes in the form of a high quality, durable, and spacious tactical backpack which will allow you to pack and carry the most essential survival gear over potentially long distances while maintaining maximum comfort. 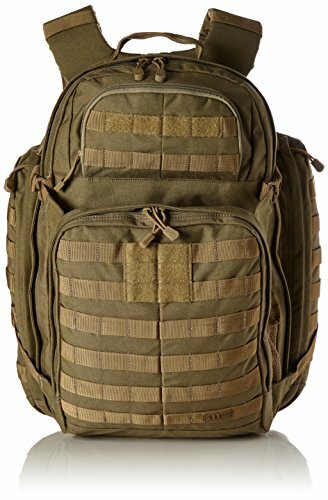 Alternatives to more traditional backpacks include duffel bags which while not the best choice for long distances covered on foot, can be a good solution if you’re planning to pair up a bag with a bug out vehicle and need something that will keep your gear together and can be easily moved to and from the trunk when needed. 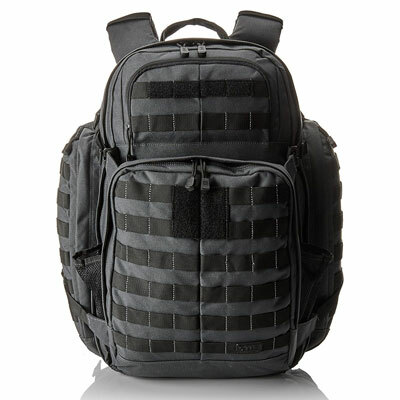 5.11 Tactical are absolutely one of the strongest contenders when it comes to sourcing the best tactical and bug out bags and their RUSH72 range of 3-day backpacks are perfectly designed to let you carry a lot of survival gear in a solution that is durable, comfortable, and intelligently laid out. Utilizing a high strength construction of water-repellent 1050D nylon, the RUSH72 has a total capacity of up to 55 liters which equates to ample storage space for comfortably packing enough survival equipment and supplies to last you for 3 days away from home. Among the features at the top of the functionality list for this backpack are large, easily accessible compartments alongside admin and organization pockets for separating out your essential gear as well as closed-cell shoulder straps for comfort. This backpack is designed with enough packing space to organize and carry a whole range of survival gear, tools, and supplies from shelter and emergency food solutions, through to water filtration systems, first aid kits and illumination devices. Finding the best survival gear and survival equipment for yourself or your loved ones is a highly personal activity with individual needs and preferences sometimes varying considerably between people, locations, and uses. With these considerations in mind, this guide looks to provide advice on our own opinions of the best survival gear available today, however, it’s always important to carry out your own due diligence to find the best solution for you when preparing and choosing your own survival equipment and supplies.